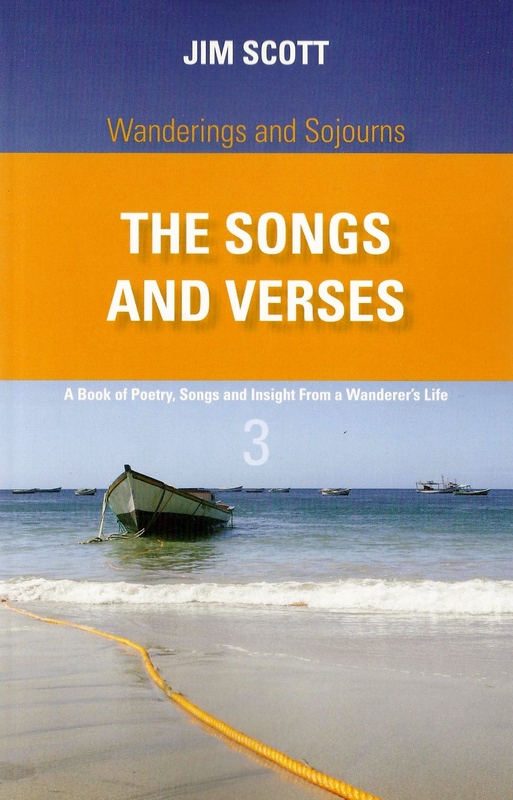 Written as the third of the “Wanderings and Sojourns” series, favourite poems and songs that form part of the first two volumes are combined with many others not previously published to form the 80 works in this collection spanning four decades of the author’s travels. Covering many disparate themes are experiences and philosophies earned from an addicted wanderer’s unusual life embracing everything from war to love, ocean to forest, death to life, sorrow to humour with insight that delves deep into the heart of each subject, and at times into the heart of the reader who will be drawn to seek personal parallels as the words, as poetry should, disturb emotions of their own. There’s at least a couple of poems written in my late teens with the others spread out between then and now, so it’s safe to say this has been in the works for over 40 years. Mostly from my own experiences but many are also created based upon observations of other people, events or scenes or creating “what-if” scenarios in my mind and converting the outcome to verse. So some are fact and some are fiction, but even the fictional ones are often based on real events or people that inspired the creative process. Like almost everything else I’ve done in my life; just by doing it. I’ve never studied the technical aspects of lyrical verse other than reading the works of others, looking at the structure and seeing why what seemed to work where. I’ve never been taught or attended any workshops. Why do you prefer calling your work lyrical verse, not poetry? There are several other styles that also come under the poetry banner with which I’m not comfortable. Like paintings where some artists may be impressionists, others paint abstract and others present photograph like images. So too with poems where there is open verse, haiku, slam, rap, etc. I’m only really comfortable writing in the medium of lyrical verse and shy away from describing my work as poetry for there are so many varieties of that I cannot do. 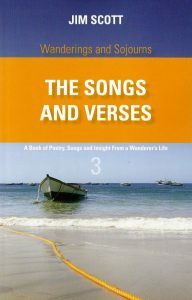 The title, “Songs and Verses”; what’s the difference between the two? In many aspects of lyrical verse there’s not much. In fact several of my poems, much like Kipling used to with some of his, are written to tunes I think capture the essence of what I’m endeavouring to write. Others have been put to music by various musicians and I’d very much like to collaborate with composers to create works that stand up both musically and poetically. That said, there are some forms of lyrical verse where the stresses are deliberately irregular, or the theme just doesn’t lend itself to music, for which I think it best not to try to create a melody. This is book 3 in the Wanderings and Sojourns series. Are books 1 and 2 also lyrical verse? Partly. The first one “On 5 Continents and 3 Oceans” comprises 25 true stories and essays from my experiences around the world, coupled with 25 poems. 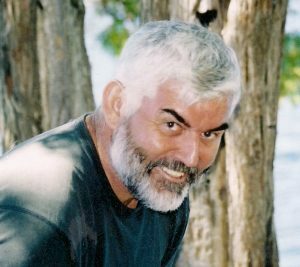 Book 2 “On Tropical Islands and Sparkling Seas” has the same format but the stories are centred on my sailing and Caribbean years. Book 3 actually was an afterthought. I only planned to write the books 1 and 2 but as people started reading sections of them I was encouraged to produce a book solely of lyrical verse as well. Because the poems were already written book 3 was completed and published before what were intended to be its predecessors. The book encompasses four decades of work. Has your style or the way you think out the same subjects changed much over that time, and is this recognizable in the work? I think I have become more realistic in the way I view things as I have aged, and that has to be reflected. And of course I have learned different techniques and effects the more I wrote, so yes; I’d say the earlier works tended more toward shorter simpler structure and perhaps more superficial themes and reflections, and there was a steady progression to deeper and hopefully more skilful writing thereafter. Are the poems laid up in chronological order, or sectioned by theme? Are there more books in the pipe-line after this series is finished, or is this it?